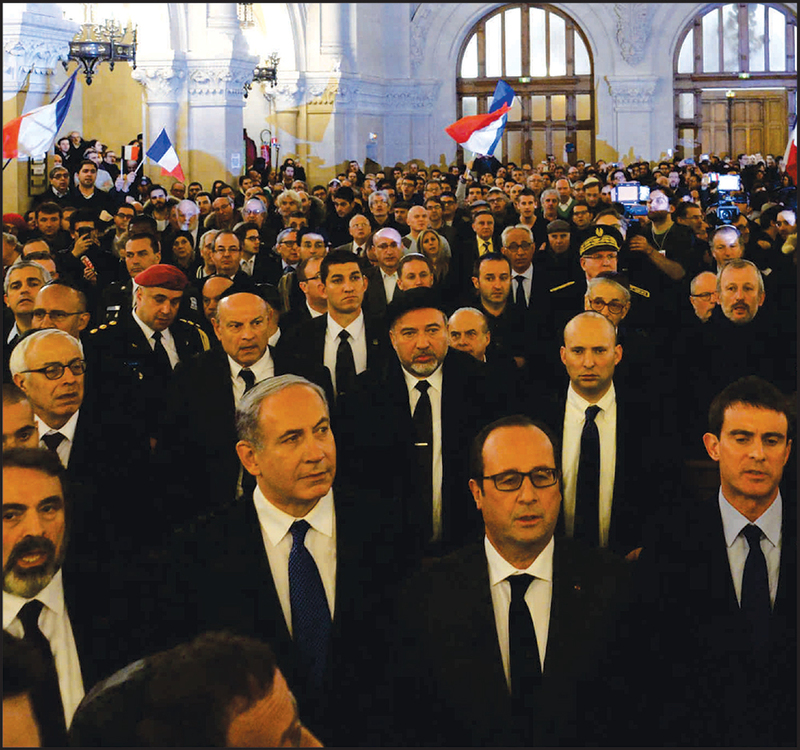 Israeli Prime Minister Benjamin Netanyahu told French Jews Saturday, after 17 people were killed in France during three days of Islamist attacks, that Israel is their home. Four of the fatalities occurred during an attack on a Jewish supermarket. Ironically, one of those killed had just returned from a visit with Taglit to Israel three weeks ago. Israel on Wednesday denounced the deadly attack on a French satirical magazine, amid a wave of condemnations from world leaders and French Muslim organizations. After the initial attack Prime Minister Benjamin Netanyahu said, "On behalf of the citizens of Israel, I offer condolences to the President of France, the bereaved families and the French people. Israel stands with you on this difficult day. Two years ago we saw a great intensification of international terrorism and terror that originates from radical Islam. Radical Islamic terrorism knows no bounds, and therefore the struggle which must know no borders," he continued. "I stood at the UN podium a few months ago, and I said that if the terrorist fanatics of Hamas, Hezbollah, the Islamic State and al-Qaeda will not be stopped here, [the attacks] will spread all over the world, and if we do not fight it consistently, determinedly and unitedly, these horrible acts that we have seen today in Paris, will not be the last, and they will be horrible and difficult." Netanyahu said the motive of Islamist terrorists was to "destroy society and nations, to uproot human culture which is based of freedom, and the freedom to choose." Therefore, the prime minister continued, "free societies and all civilized people must unite and combat this terrorism." "Combating them means physically fighting, fighting against their false arguments, and under no circumstances accepting the various justifications for their motives," he concluded.